We are always learning and often teaching. ​trains beginning farmers, and swaps tips with growers all over the country. 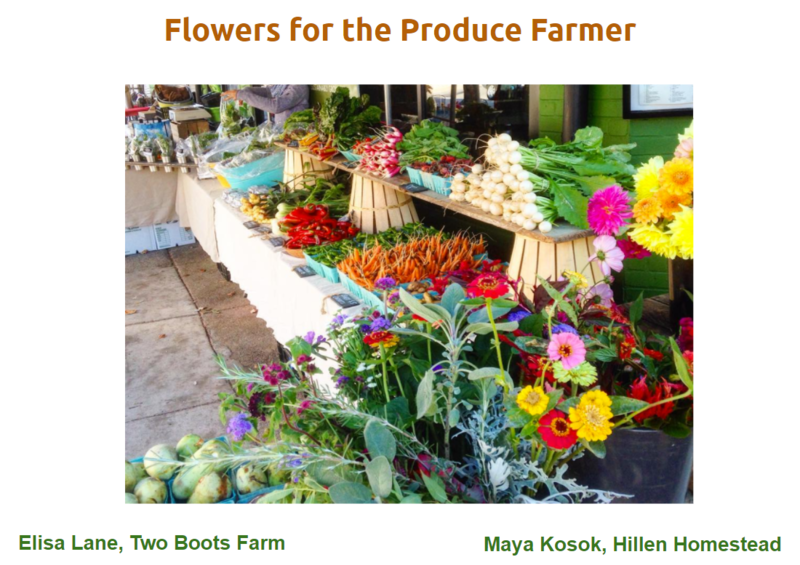 Elisa Lane of Two Boots Farm and Maya Kosok of Hillen Homestead developed this jam-packed presentation on flower growing for vegetable farmers. 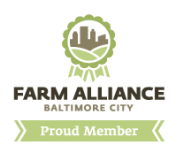 We present at two regional conferences: Future Harvest Chesapeake Alliance for Sustainable Agriculture and Pennsylvania Alliance for Sustainable Agriculture. This in-depth talk covers everything from planning and planting to post-harvest and marketing and features sample planting plans and a bouquet making demo. We focused on how vegetable farmers can add flowers to diversify their CSA and farmers market revenue streams, but these tips are useful for any beginning grower.